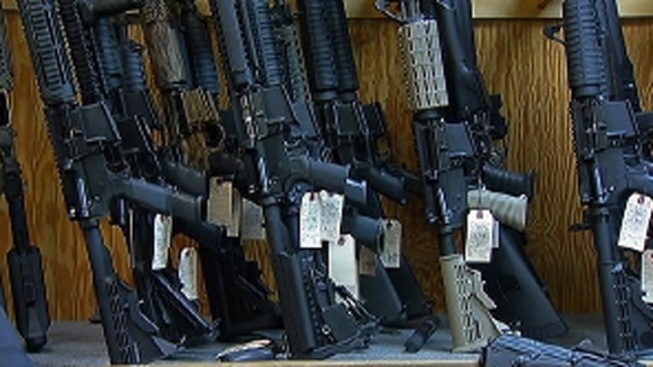 Federal authorities have raided an East Windsor, Conn. gun shop where a man allegedly tried to steal an assault rifle following the mass shooting at a Newtown elementary school. The Bureau of Alcohol, Tobacco and Firearms, assisted by the East Windsor Police, raided Riverview Gun Sales on Thursday. The reason for the raid was unclear and officials told the Hartford Courant it was not prompted by one incident. David LaGuercia, owner of the shop, issued a statement on Wednesday confirming he sold one gun to Nancy Lanza, the mother of the Sandy Hook Elementary School shooter, several years ago and he was ``appalled'' it may have been used to kill children. LaGuercia said he's cooperating with authorities. WFSB-TV obtained video of a man taking an assault rifle from the store on Saturday. He was later arrested.